② Curricula of 16 sample robots with a total of 48 different types of lessons. ③ Robots optimized for competition with high-speed Dynamixel and IR array. 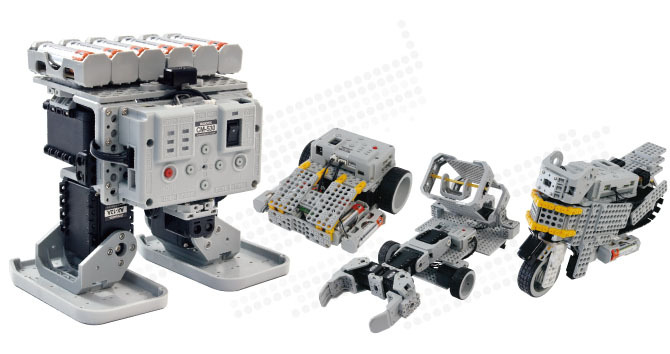 ④ Robot kits aimed at solving problems creatively.